From tasty treats to fun favors, help children feel included with these kid-friendly ideas. While some couples choose to have a child-free wedding, other brides and grooms embrace the kids that will be attending their celebration by thinking of them throughout the wedding-planning process. Keep the ages of children attendees in mind when choosing activities and toys and treats – some may be dangerous for kids under three, and consider hiring a babysitter or professional entertainer in certain cases. In many cases, choosing just a few activities, foods, and games that are appealing to children will help them have just as much fun at your wedding as the adults. From pre-wedding goodie bags curated specifically for kids, to child-friendly fare and desserts throughout the reception, to special favors and games, there are countless ways to make sure kids enjoy every part of your wedding day. We've all heard of welcome bags for guests filled with the bride and groom's favorite local treats, a wedding itinerary, and more. 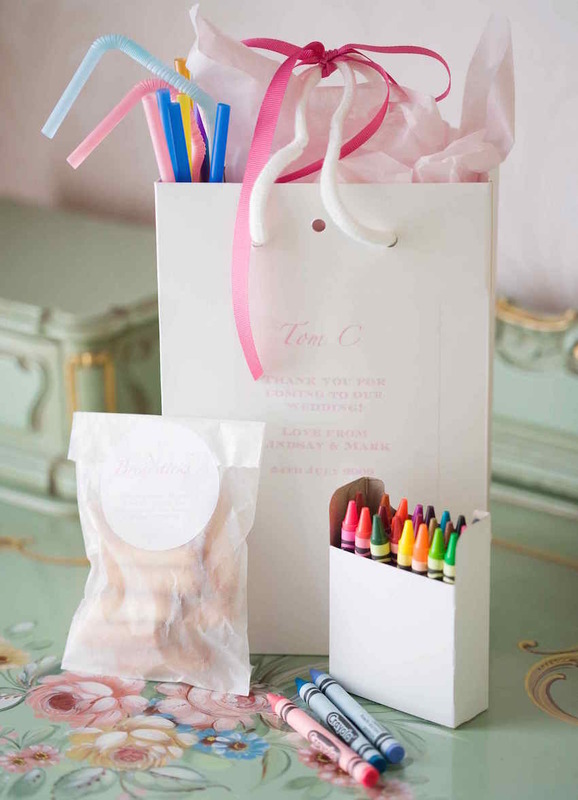 But how about welcome activity bags for your younger guests? Include everything from custom coloring books that tell your love story, crayons, tons of kid-friendly desserts like freshly baked chocolate chip cookies, and whatever else you and your groom loved as kids. 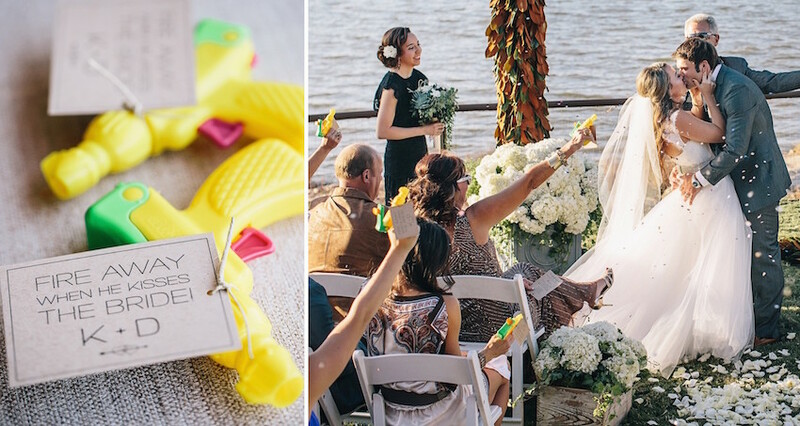 In lieu of a traditional rice, petal, or confetti toss during your reception, provide outdoor wedding guests with minature water guns instructing them to fire away as the bride and groom are pronounced husband and wife. This unique send off will be enjoyed by kids and adults, alike, at your vow exchange. While your over-21 guests will be looking forward to trying out your signature cocktails and tray-passed Champagne, be sure to have some non-alcoholic beverages available for kids. Fresh-squeezed lemonade is a classic favorite that will never go out of style. 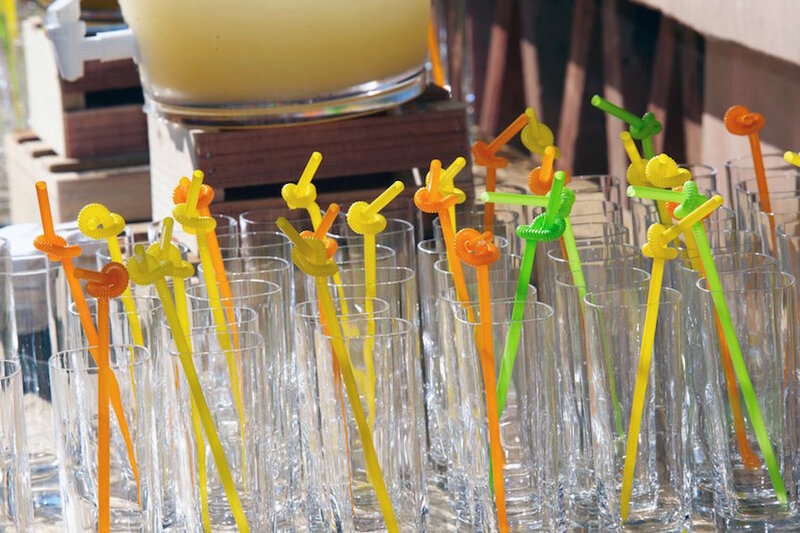 To make kid-friendly drink stations even more fun, have children attendees choose from a variety of crazy, twisty straws in vibrant colors to add to their beverages. Throughout the cocktail hour, it's okay to have some gourmet selections, but be sure to include at least one appetizer that kids will love. 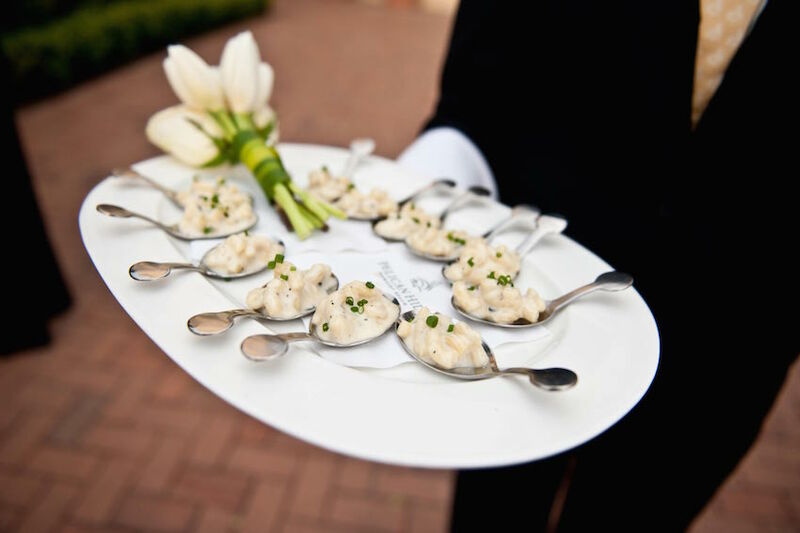 Mac and cheese bites served in spoons provide a sophisticated twist on the classic favorite in easy-to-eat portions. 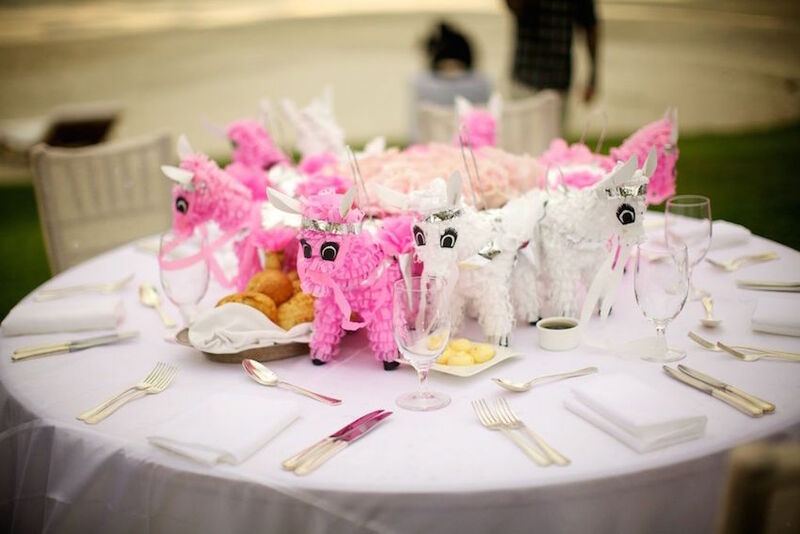 When Mario Lopez and Courtney Mazza wed in Mexico, they made sure to have a fun kids' table complete with streamers and pink-and-white piñatas that doubled as both centerpieces and favors. Other kids' table ideas include lining the table with butcher paper for kids to draw on throughout the reception! 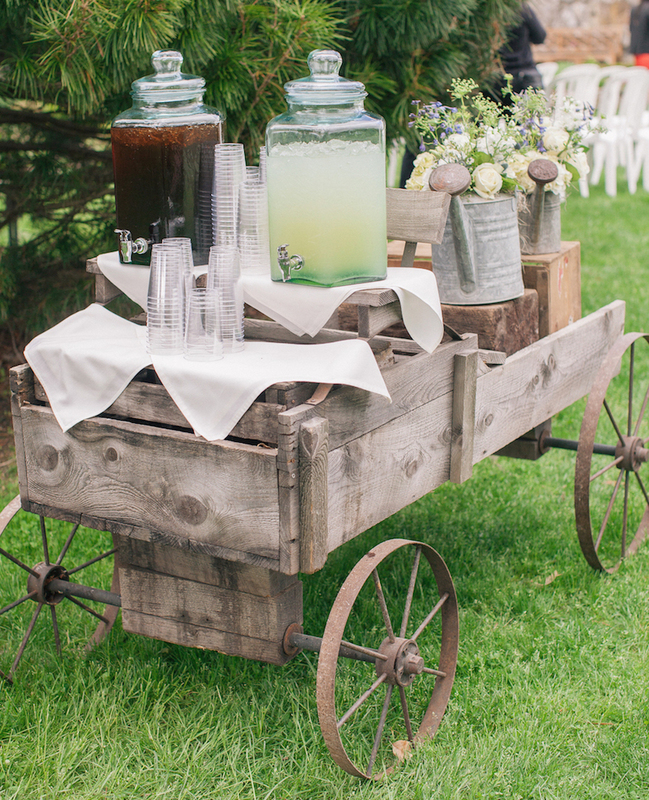 To keep kids entertained throughout the wedding reception, it's important to keep refueling them with delectable snacks. 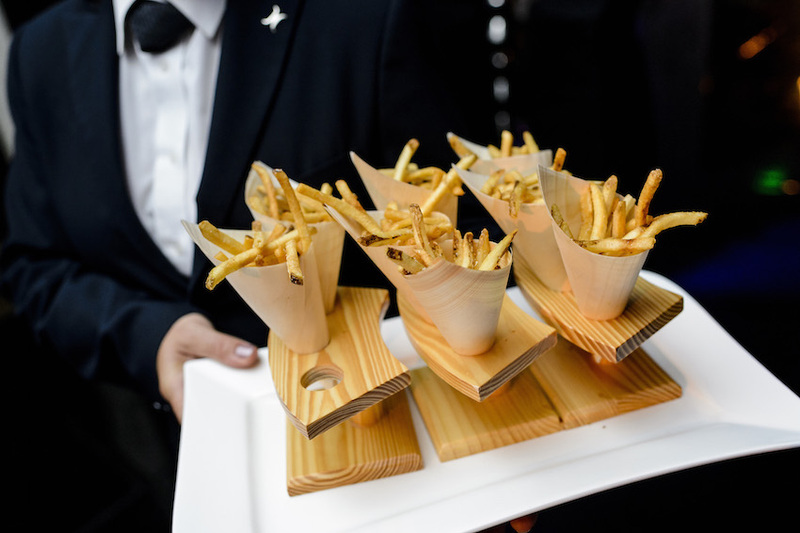 Have servers pass around paper cones filled with French fries on the dance floor. This will be appreciated by both kids and adults in attendance! 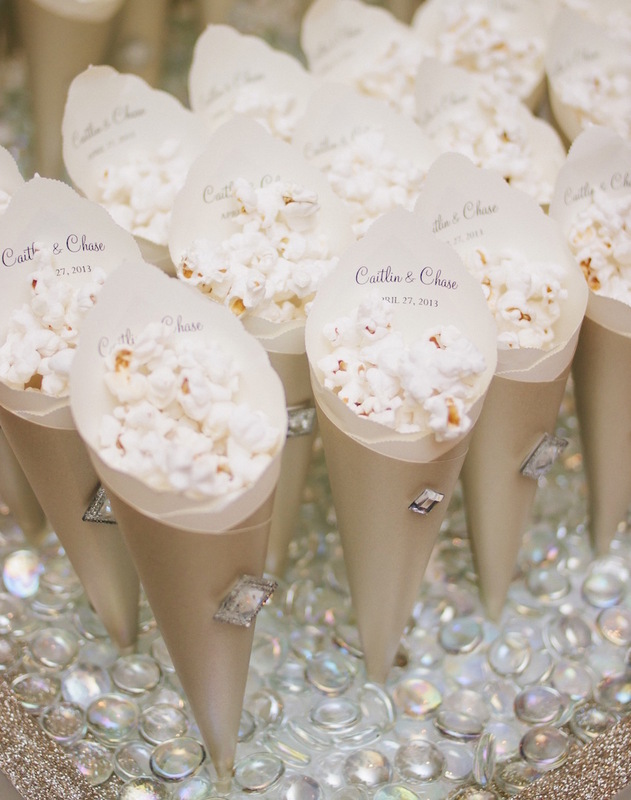 For a "healthier" option, fill paper cones with your favorite popcorn. This will give kids an extra burst of energy without filling them up too much and making them fall asleep on the dance floor. Personalize paper cones with your names and wedding date for an additional surprise! 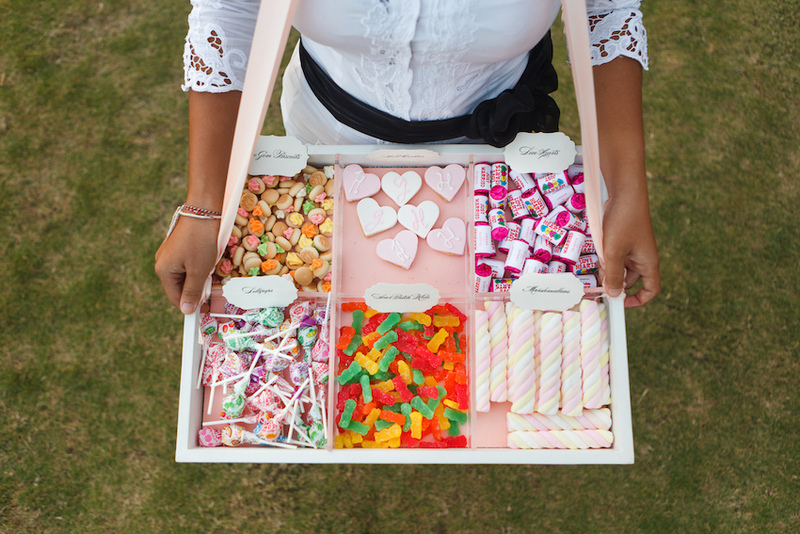 Have servers carry vintage-inspired candy trays throughout the cocktail hour or reception. Fill trays with modern favorites and old-fashioned sweets, and be sure to label each selection, so that the kids – and adults – at your party know what they're getting themselves into for those unfamiliar specialty sweets. It's no secret that kids love s'mores. 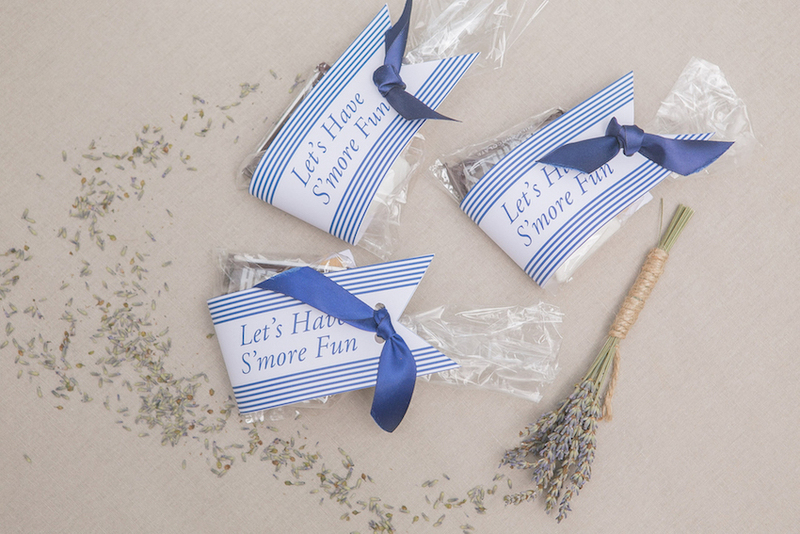 Incorporate this childhood favorite into your wedding favors by offering marshmallows, graham crackers, and chocolate in cute packaging labeled with "Let's Have S'more Fun." 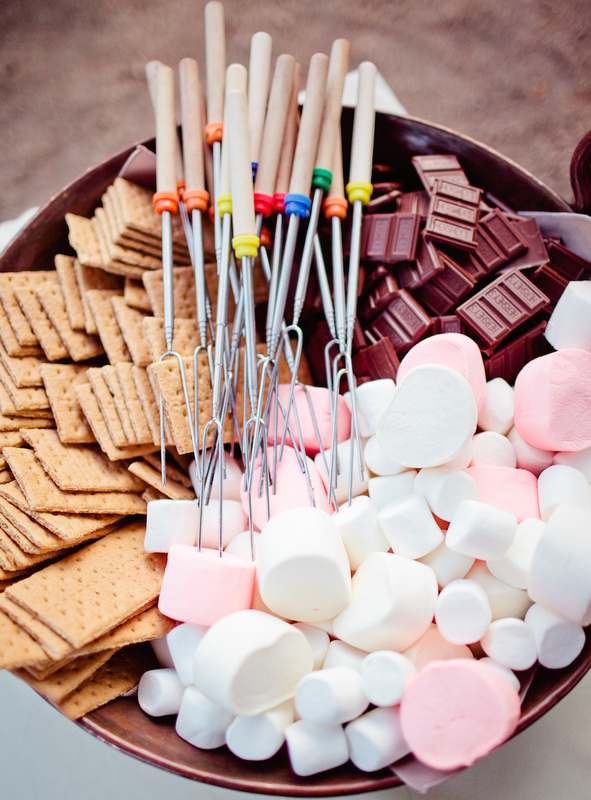 After the cake has been cut, invite kids and the rest of your guests to a s'mores station during the reception or after-party. Choose marshmallows in your wedding colors, have chocolate bars prepared in the right sizes, and break graham crackers to ensure the children at your reception can easily create their own tasty treats. 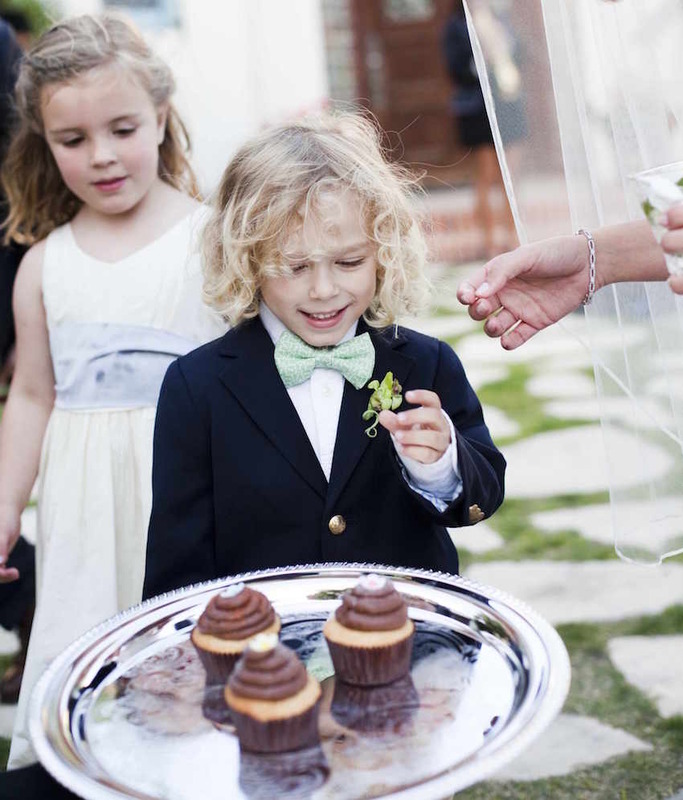 The look on this boy's face is proof that kids love cupcakes. Since kids may not love the fancy wedding cake flavor you and your groom selected, make sure you have an alternative on hand. Cupcakes in simple flavors like vanilla, chocolate, and even Funfetti ensure you won't have screaming kids at your reception. A candy bar is a fun activity for both kids and adults. Available throughout the reception, the sweet treats can also be taken home as wedding favors – just be sure to place personalized bags emblazoned with your names and wedding date at the table. 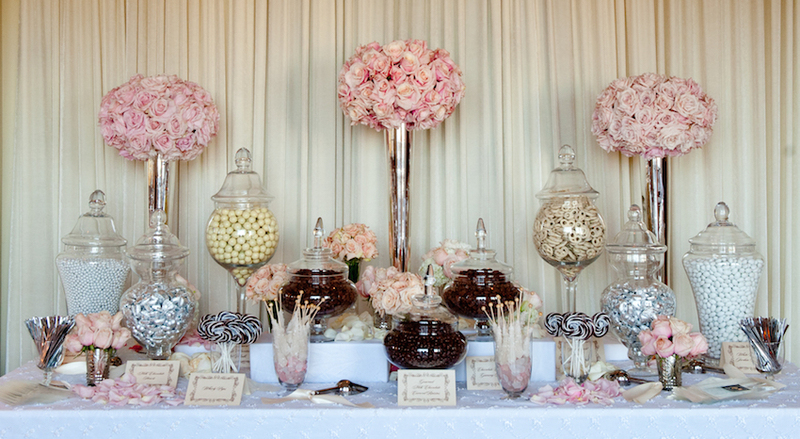 Challenge: choose candies and sweets in the hues of your wedding color palette! During the wedding toasts, adults will be sipping on Champagne! Instead of offering sparkling cider or juice to kids throughout these toasts, give them cookies and milk! The favorite treat will keep them entertained throughout long speeches and make them feel included during this particularly "adult" portion of the evening. Kids love ice cream. 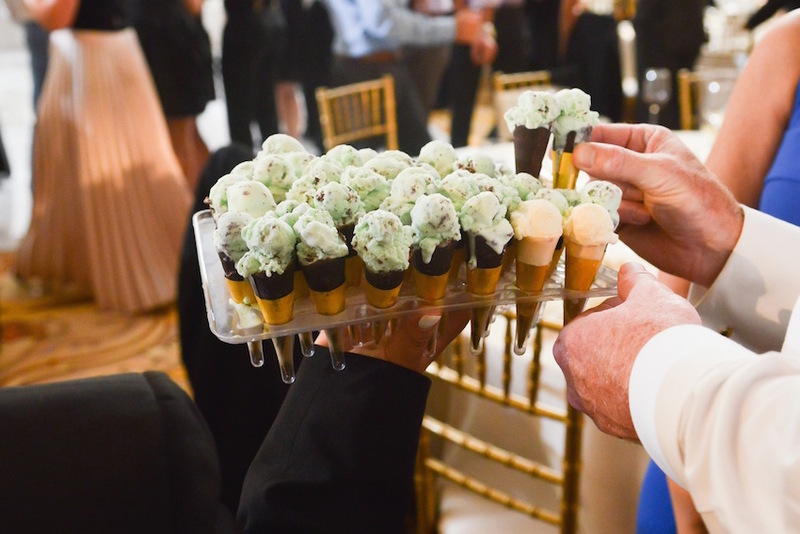 After cake, have servers pass around pre-scooped ice cream cones in kid-friendly flavors like vanilla and mint chocolate chip. Another option is to have an ice-cream station where kids can pick their favorite toppings and ice cream flavors and have them mixed together on a cold marble stone. 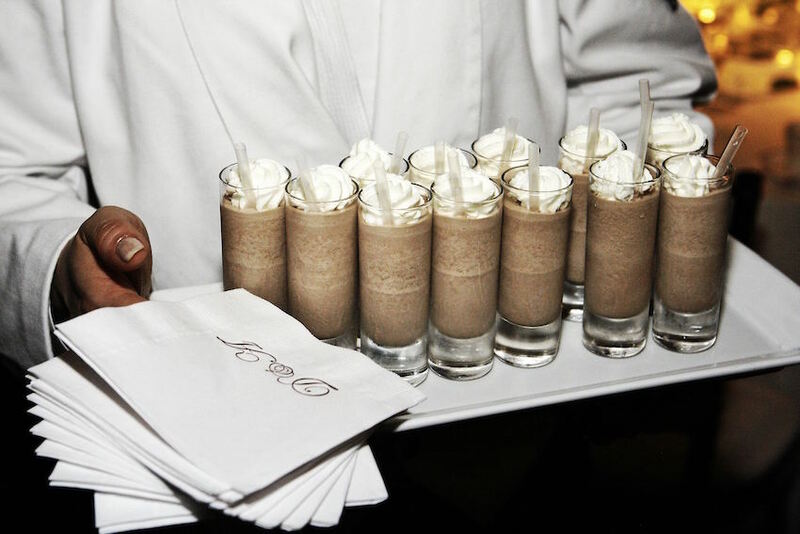 Refreshing chocolate milkshakes served in shot glasses and topped with whipped cream provide guests of all ages with a quick treat. 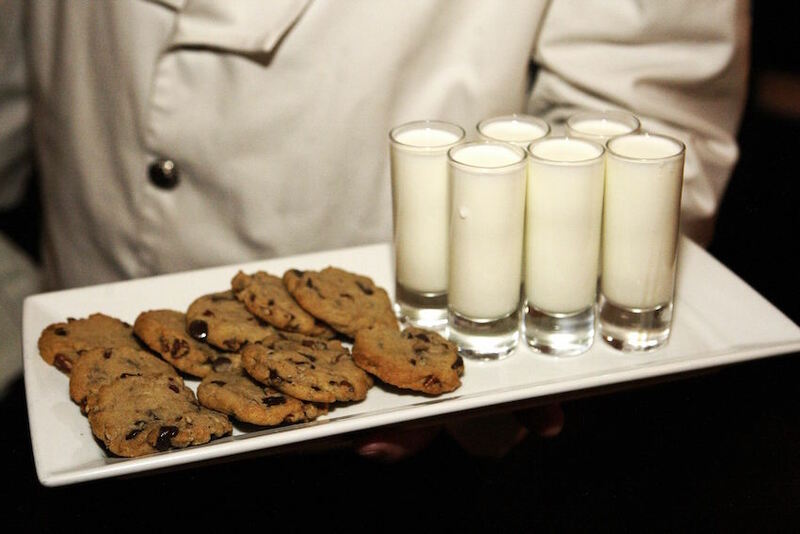 Serve milkshakes throughout the cocktail hour for kids, or offer the creamy treats to revelers on the dance floor. 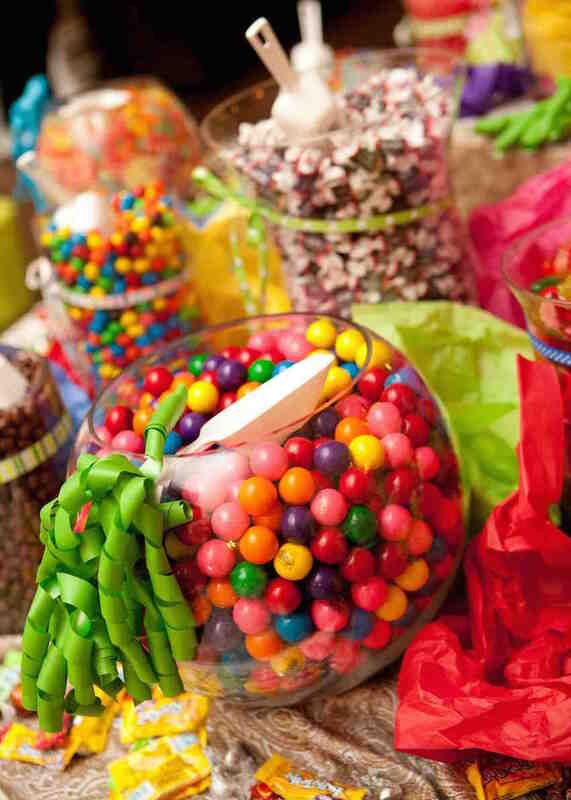 Fill glass jars with gumballs and Tootsie Rolls that kids will adore! Include these favorites at your sweets station, or serve them in a specialty kids' tent during the reception. You can also offer bags of these candies as prizes for games that involve children during the wedding, such as guessing the answers to trivia questions about the bride and groom's love story. 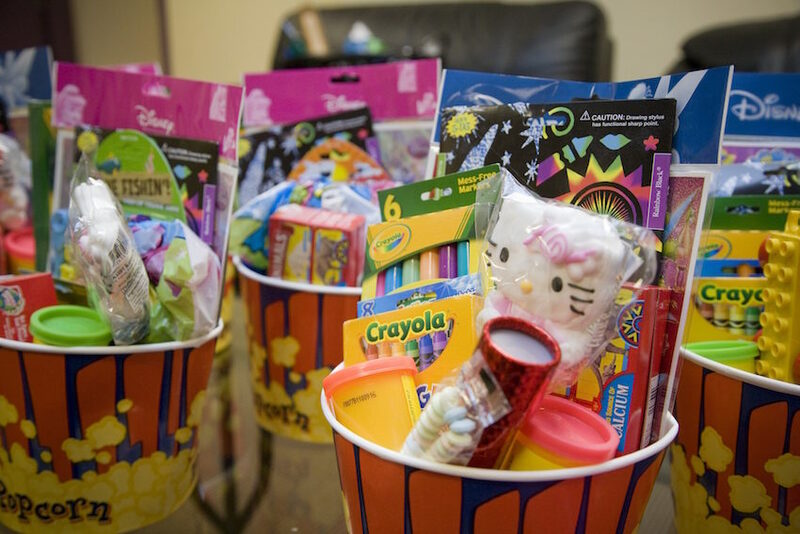 Keep kids entertained throughout the wedding reception by passing our popcorn tubs filled with crayons, Play-Doh, coloring books, Legos, and Hello Kitty treats! Send children home with these bins as favors, or give them to the kids' table once dinner has been served and adults are enjoying time on the dance floor. 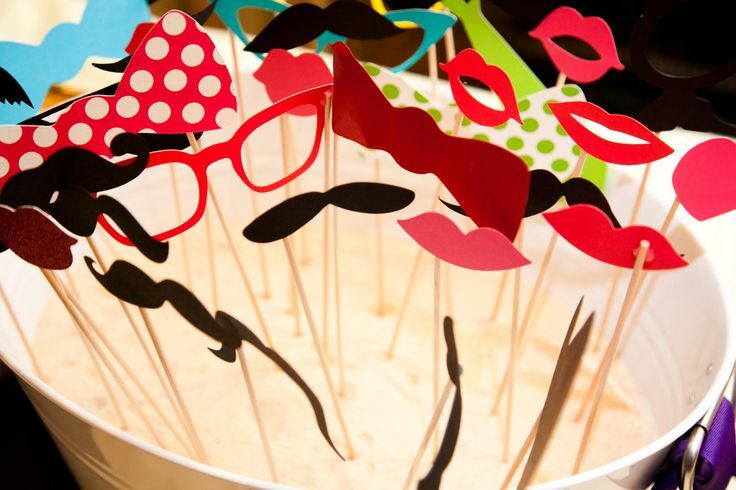 Fun for kids and guests of all ages, a photo booth will keep everyone entertained throughout the reception! Have attendees choose from a variety of fun props and watch how the kids make funny faces and create life-long memories of your special day. Browse InsideWeddings.com for more tips on how to involve children in the wedding, etiquette tips for selecting a child-friendly or child-free event, and how to prepare for badly behaved kids at your ceremony or reception. 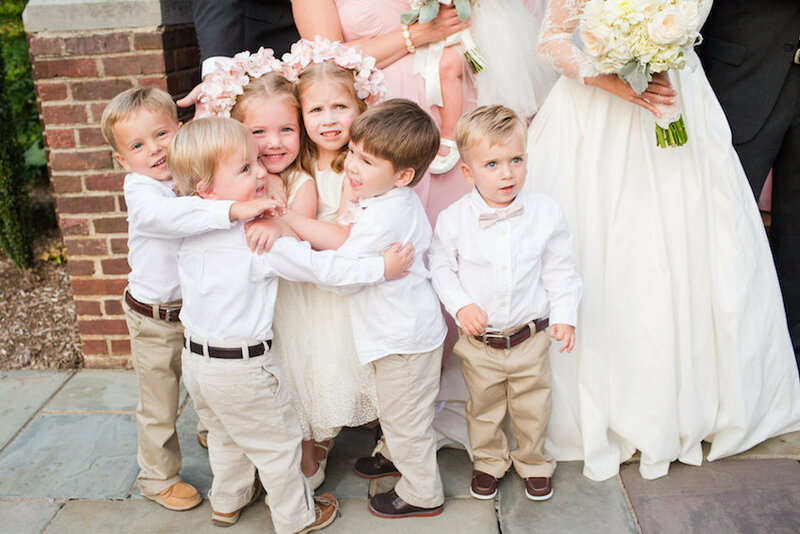 Then check out our Flower Girls & Ring Bearers photo gallery to see some of the cutest kids who have graced our pages and online weddings!